Online marketing is a technical subject that demands a number of various social media marketing tools to make the marketing jobs effective and efficient. There are quite a number of tools available on the web that can help you market your product and services via social media marketing. This is an online consolation and implementation tool that helps one get a centralized management for the whole social media promotion as well as the contests. You can also measure the ad campaign as well. This tool will deal with your multiple accounts and platforms at the same time with social CRM, ecommerce and support for all the various marketing campaigns being used today, including Facebook, Email and mobile marketing. 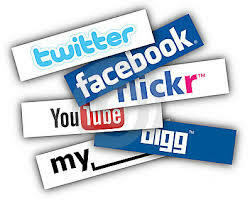 This online tool helps you mange campaign managements such as twitter, Facebook, blog and even YouTube. This will help you easily manage the analytics and also help you produce multi-channel executions, user management as well as engagement reports. This tool is one of the most comprehensive platform in social media marketing where social sharing, referral technology and campaign applications are all integrated perfectly. As we all know it, advertisements are the best way to get most of out of your online presence. Sprout is a tool that enables one to build engaging apps and ads that deliver an interactive rich taste to the audience. With these useful social media marketing tools, you can get a great deal in the development of your business into a well renowned brand in the internet.